Why is Flixotide Inhaler Used? 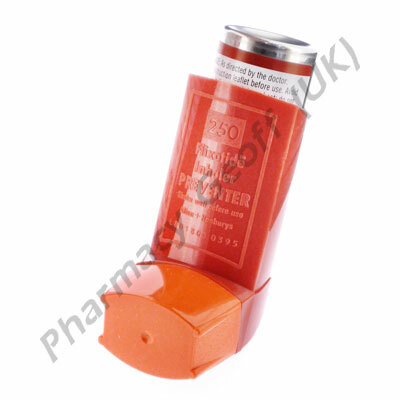 Flixotide Inhaler is a type of medication for asthma. It is classified as a Corticosteroid. It is a product that can help to reduce inflammation so that a user can breathe better. It is also used to prevent bronchial related asthma attacks from occurring. It is offered for use by children at least 4 years of age as well as adults. This medication is offered in several different doses. They include 50 mcg, 100 mcg, and 250 mcg. It is to be used daily at the dose that the doctor recommends. Typically a low dose will be given and then it can be increased if necessary for adequate control of asthma problems. 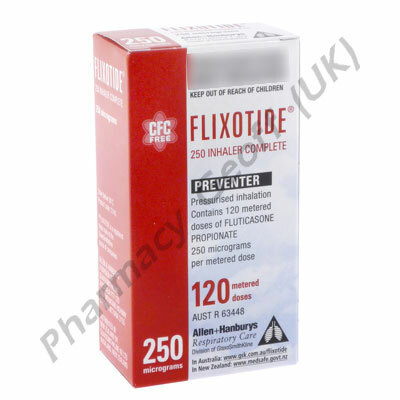 It is advised to use Flixotide Inhaler every single day – even when feeling better. Children should be taught how to properly use this when they are at an age when they will be away from parental supervision. It is important to understand that this isn’t a rescue inhaler. It shouldn’t be used to help offset an asthma attack. Once the attack has been triggered another form of medication such as an inhaler will need to be used. 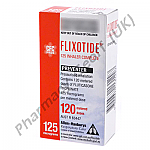 Anyone with an allergic reaction to Fluticasone should avoid using Flixotide Inhaler . It isn’t known if there is a risk for women to use it when they are pregnant or nursing so it is best to avoid using it as a precautionary measure. Children who use Flixotide Inhaler may not grow at the proper rate. It is important to work with medical professionals to keep a close eye on this issue. Adults need to be very careful that they get enough Vitamin D or there is an increased risk of Osteoporosis, especially in those who smoke.